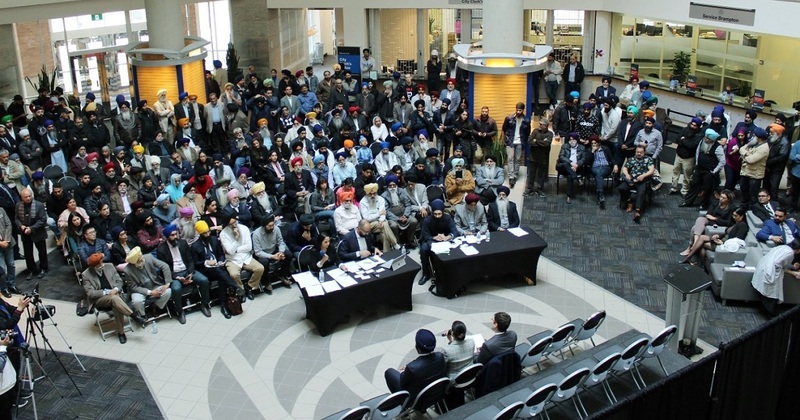 On Sunday afternoon 7th April, the World Sikh Organization of Canada and two of Ontario's main Gurdwara groups organized a meeting at Brampton city hall. Such was the interest that organizers say around 400 turned up. And many were angry. The WSO event focused on a 2018 public report that listed 'Sikh (Khalistani) Extremism' as one of the five main threats Canada faced from ideological actors. Canadian Sikhs say there was no justification for including 'Khalistani extremism' in the report since it only referred to past events. "We have to go back at least three decades to find anything. … What’s happened in the last year for the Sikh community to be included? What context can they give us?" - said Moninder Singh from the British Columbia council of Gurdwaras, when it was published. Four months on, many Canadian Sikhs are still angry the Liberal government has largely ignored calls to justify their inclusion in the report. A few hours before the town hall meeting, Minister Ralph Goodale issued a statement acknowledging that: "the language used to describe some threats unintentionally maligned certain communities….and is not in line with the values of the Government of Canada." But the report and its wording remained in place. Only a small addendum was added. "It’s not just inadequate, it’s an insult and a slap in the face," said NDP leader Jagmeet Singh in response to the new statement. "It does not rectify the situation at all." Only three MPs attended the heated event: Brampton MPs Ruby Sahota and Raj Singh, as well as Sherwood Park-Fort Saskatchewan MP Garnett Genuis. As the only Liberal Party MP there, Ms Sahota said the report was written by independent agencies and not the government. In other words, editing it now might look like political interference. "The Liberal government is not in support of maligning the Sikhs or Muslims," she said. "We have always stood by them." The WSO President Mukhbir Singh said in a statement: "The section on 'Sikh (Khalistani) Extremism' is deeply hurtful and we still do not have any explanation as to why it was added and why it continues to remain in the Report." "Simply adding an Addendum but leaving the Report unchanged is not enough."